I don't know about ya'll but I'm starting 2006 with a flurry of non-activity. I'm accomplishing nothing in record time. So, since it's been over a week since I've posted anything, I thought I'd post a sketch. 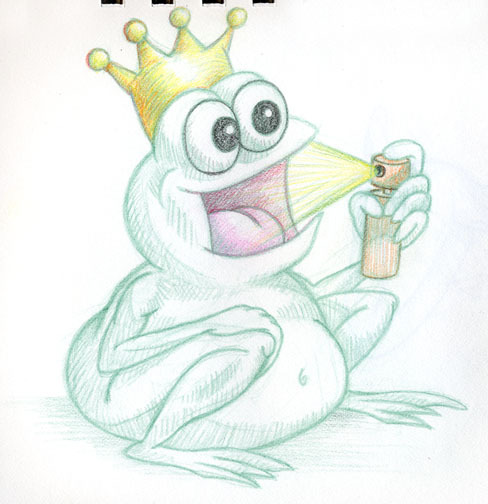 The ever-popular Frog Prince. He's a smooth mover with the ladies. Remember guys and lesbians, it's not always about looks, but attitude. I don't care how minty his breath is..I'm not falling for it.